All the buildings on the Dumfries House Estate are connected by a network of newly created Woodland Walks. In addition, we have a brand new, 500-tree Arboretum and our magnificent new five-acre Walled Garden. Visitors can enjoy a delicious meal in our Woodlands Restaurant or an overnight stay at our newly renovated Lodge with its 22 luxury guest bedrooms. There is so much to see and do for all ages, from leisurely walks to our exciting Adventure Playground next to the Coach House Café. The landscape is continually evolving with interesting garden areas, follies and sculptures to discover. 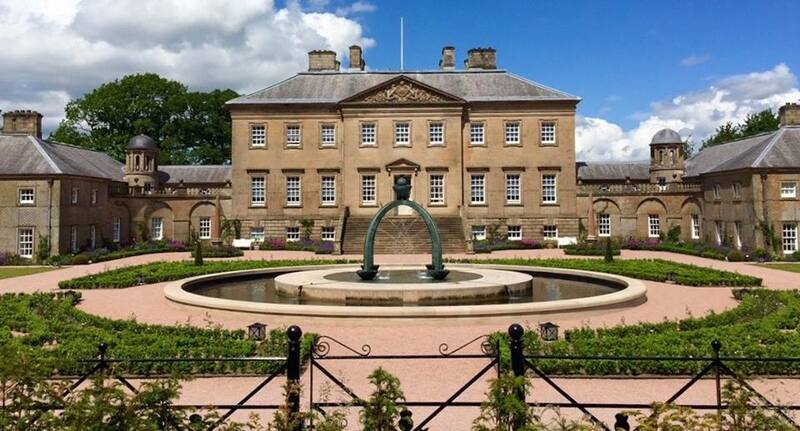 When Dumfries House was saved for the Nation in 2007, the purchase included 2,000 acres of wider estate. Today, the core estate is an oasis of wonderful parkland, gardens and woodland walks that connect our estate buildings, many of which are home to our Educational Programmes. We also have 500 acres of mature woodland to explore, and a 900-acre Home Farm run in partnership with Morrisons supermarket.